This post is especially written for Teachers and Trainers. When you share a lot of information in a speech / talk or a presentation and the audience is required to remember it, Mnemonics play a crucial part. All of us have grown up with them and yet how many of us realize the power of Mnemonics. I have personally been a fan of Mnemonics since my school days. For every crucial concept where I needed to remember lists, I had a Mnemonic. You might still be wondering what a title I have for this post. What is the 'Legend of Subodh Ranjan Saha?' Well, this post is dedicated to my Accountancy teacher who took my tuition during my Class XI, XII and Graduation years. His name is S K Jha and he gave me one of the most interesting mnemonics in school. 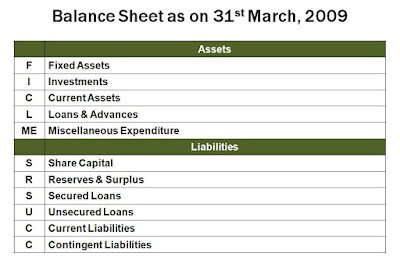 When I was in Class XI he told me one day; "In Balance Sheets, all the items have to come one after the other. You cannot have Unsecured Loan before Secured Loans. You have to write Investments only after Fixed Assets." Subodh Ranjan Saha Under Calcutta Corporation. Few Indian Citizens Love Miss Eishwarya (spell it with an E and not an A). The letters in capital of the Mnemonic are the ones you find on the image above. Under liabilities, S will stand for Share Capital and then R for Reserves and Surplus and so on. Chip and Dan Heath, the champions of stickiness, in their book Made to Stick have shared the secret of what makes a message sticky and how we can make our messages sticky. To ensure we remember the six secrets of stickiness, they have very rightly helped us with a mnemonic; SUCCESs. The last small s is just to complete the word. If you happen to chance upon a company website, you might discover some more Mnemonics. The Mnemonic 'THINK CONSUMER TO BE BIG' gets expanded to form Marico's set of corporate values. What's Our Net Take Away? Whenever you give a presentation where you want the audience to memorize a tricky list of things or a very important concept, help them with a Mnemonic. You can also make the audience think of a Mnemonic on the spot. I have done that many a times. 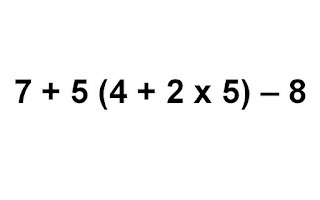 This will not only ensure they understand what you present but also remember it for a long time to come. Create your own Subodh Ranjan Saha and get etched in someone's memory forever.